An Ohio DUI or DWI is called an OVI. OVI is short for Operating a Vehicle Under the Influence of Alcohol or Drugs of Abuse. There are two basic types of Ohio DWI / DUI offenses: OVI Per Se and OVI Impaired. In Ohio, a first-offense OVI means you’re facing a first-degree misdemeanor charge, and conviction could result in mandatory jail time, hefty fines, and a license suspension for up to three years. A fourth-degree OVI could lead to a felony charge, where the penalties and restitution are heightened. No matter the degree of the charge you’re facing, it’s important to choose a Columbus OVI lawyer who will advocate for your rights and build you a strong case. 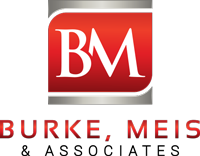 Burke Meis & Associates is a criminal defense firm you can trust. We’ll work proactively and efficiently to help you weave through this complex area of law and increase your chances of success. If you have been charged with Operating a Vehicle Under the Influence of Alcohol or Drugs, contact one of our experienced OVI attorneys in Columbus, Ohio to discuss how to protect your driving privileges and fight the charges against you. Attorneys Adam Burke and Andrew Meis are experienced in Ohio DUI/OVI defense, from negation to litigation. Call (614) 280-9122 for a free consultation. 9 To Test or Not to Test? 10 But won’t I lose my license if I refuse? Testing over means at least a 90 day automatic license suspension. Refusing a test means at least a 1 year automatic suspension. A Minimum Sentence is 3 days in Jail or Driver Intervention Program. How many drinks is too many? Check the blood alcohol calculator below. An Ohio DUI charge based on testing over the legal limit is commonly called an OVI Per Se. On your ticket, this may be marked ORC 4511.19(A)(1)(b)-(x) (or a municipal ordinance). It’s called “per se,” because the government can prove its case based only on an over-the-limit test result near the time you were driving. The prosecutor does not need to prove that you performed poorly on field sobriety tests or even that your driving was impaired. Under Ohio law, you can be convicted of an OVI if you were operating a vehicle and you tested over the legal limit. To better understand the nuances of this area of OVI law and existing testing methods, it’s wise to contact a skilled Columbus OVI lawyer right away. If you take a breath test you will be charged with OVI Per Se if you tested with a Blood Alcohol Concentration (BAC Test) of .08 or Higher. If your breath test is over .017, you will be charged with a “high-tier” violation. This means that if you are convicted, the minimum penalties are higher (6 days instead of 3 days) and special license plates are mandatory. Another type of Ohio DUI offense is called OVI Impaired. This charge means you are charged with driving under the influence. On your ticket this may be marked ORC 4511.19(A)(1)(a) (or a municipal ordinance). It is not unusual for someone to be charged with both this offense and an OVI Per Se in the same case or arrest. A person who does not submit to a breath test or other chemical test can still be charged or convicted under the OVI impaired offense. 2 Offenses — 1 Penalty. Although you may be charged with both an OVI Per Se and OVI Impaired, you cannot be punished for both. Each charge is a way for the government to convict you of drunk driving. Unless, you have a “high test” (a point .017 or higher breath test) or past refusals, the penalties you face for either offense are the same. Below is a Chart of Ohio DUI Penalties. These penalties are based on blood alcohol levels, past refusals, and the number of prior convictions in the past 6 years. If you have any doubt about whether you will pass a test of your breath, blood, or urine, an experienced OVI attorney in Columbus, Ohio will suggest that you refuse the test. First, if you fail a breath or alcohol test, you make the prosecutor’s job much easier. If the test comes in at trial, you will usually lose. Your lawyer can still try to get the test thrown out, but most people are better off just not taking it. Second, a higher test result increases your minimum penalties from 3 days to a minimum of 6 days (for a first offense). But won’t I lose my license if I refuse? You will lose your license, at least temporarily, for refusing to take a test. However, you will also lose your license for failing the test. The suspension is longer for a refusal than for testing over the limit (1 year versus 90 days). If you are convicted because of the test, you face at least another three month suspension and it is easier to fight a license suspension than a failed test. By refusing the test you give yourself a much better chance at avoiding a drunk driving conviction. This gives your lawyer more options for a better resolution, including negotiating a shorter license suspension. Most people charged with first offense drunk driving serve a 6 month license suspension, whether or not they take the test. This is a non moving violation. In many cases, someone who is charged with an OVI may have there case reduced to a Physical Control or a Reckless Operation as part of a plea bargain. The penalties for an underage OVI include: up to 30 days in jail & $250 Fine, a license suspension of 1 to 5 years, 4 points, and Driving Privileges after 60 days. If you or a loved one has been arrested for an OVI in Columbus, Ohio, consult with Attorneys Adam G. Burke and Andrew Meis and discover your options for dealing with the serious consequences surrounding an OVI.